One of the things I miss most about England is the food. Luckily there are many places around Yokohama that provide traditional English food. One dish in particular makes some foreign people squeamish. Namely steak and kidney pie. When I was a child I hated it. Now I’m older I really enjoy it. So what exactly is it? Steak and kidney pie is a savoury pie that is filled with diced beef, diced kidney (usually lamb or pork), onion and gravy. Sometimes the pastry is only on the top, but usually they’re completely wrapped in pastry. They are pretty popular, as are all pies in England, and are available at any petrol station or convenience store throughout England. 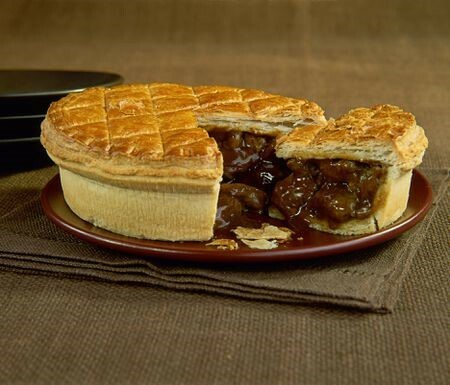 In recent years some variations have become popular including steak and ale pie or steak and Stilton pie. They’re all great and definitely worth trying if you get the chance.